For the Heavy Metal of course! 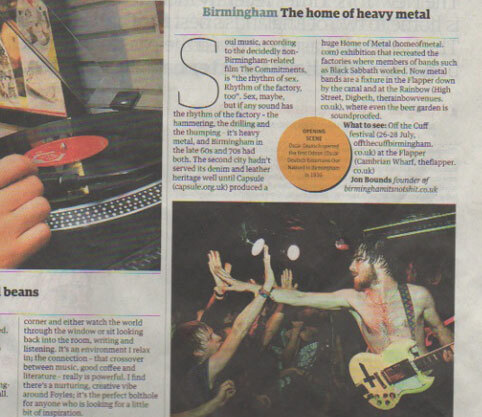 In its recent UK city culture guides, the Guardian highlighted the city’s Heavy Metal heritage as the key cultural highlight of Birmingham. With a nod to Capsule’s Home of Metal project and 2011 programme, they recommend a visit to Brum to check out the current heavy music scene.